Scissors & Utility Knives etc. 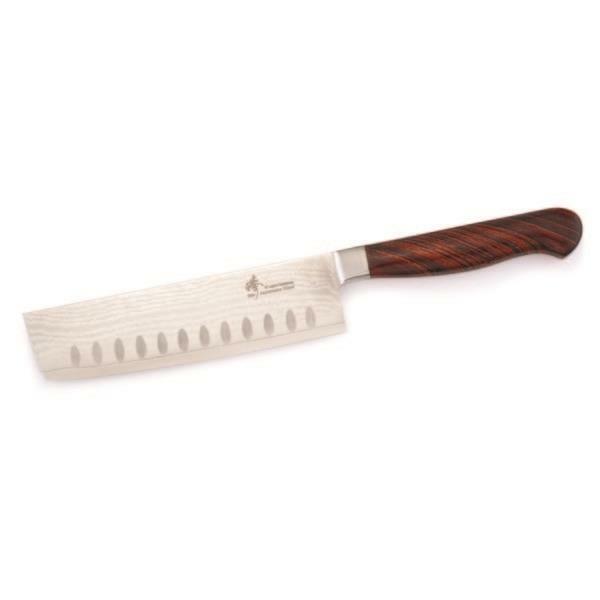 The rectangular thin blade of this knife excels in delicate vegetable chores. The curvature in the blade allows for a smooth rocking action. Try one of these stellar Damascus steel knife blade blanks and customise it with a handle of your own making. To receive special offers and keep up with the latest industry news, please subscribe to our newsletter.